MADISON was a Swedish hard rock/heavy metal band from the 80’s best known as the first professional band of singer Goran Edman. They released two albums, “Diamond mistress” in 1984 and “Best in show” in 1986 and then fell apart. Some of the members had brief stints with other well known Scandinavian bands but only Goran Edman made himself a noteworthy career singing on EUROPE‘s John Norum debut solo album “Total Control” in 1987, a couple of YNGWIE MALMSTEEN albums (“Eclipse”, “Fire & ice”), and later on countless project that would take a page or two to write down. The band’s style is typical of mid 80’s Scandi hard rock/heavy metal, think of EUROPE‘s first three albums and add Edman’s distinctive voice to get an idea. Their debut was heavier while “Best in show” leaned more on the hard rock and even AOR side. Edman sounds a little bit rough and unpolished compared to his next, best known efforts, with a stronger Scandi accent, but nevertheless he steals the show with his amazing voice. MADISON was more than just Edman’s first band. They had some great songs too. Opener “Oh rendezvous” filters some WHITESNAKE influences and throws in a good portion of AOR, “Shine” is a marvelous ballad with Edman delivering a stellar performance, “Give it back” is a little AOR gem that could fit in EUROPE‘s “Final countdown” perfectly. Some heavier and well performed tracks like “Carry on” and “Out of the bunker” add more depth to the album with their combination of dramatic vocals and blistering guitar solos. This re-release by Pride & Joy Music contains the ten tracks from the original album plus two more tracks taken from the 1986 EP “The Tale”. Both additional tracks are really good and fit the rest of the material perfectly due to the fact they were originally released in the same year. 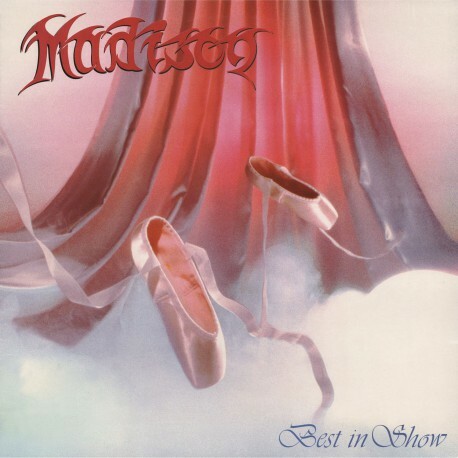 Especially “Look in Your Eyes” is one of the best songs on this version of “Best in show” and definitely the heaviest one, a great fast faced, almost power metal, song that reminds of the band’s debut. A couple of tracks are flops, like the party hard rocker “Hotel Party”, but the album is definitely a must have, as one of the best examples of 80’s Scandi hard rock/heavy metal. The production quality of “Best in show” is not the best possible, and I think that’s the only serious flaw of this album but it’s not that bad. Like I said before, it’s a must buy for anyone into EUROPE, TREAT, 220 VOLT, TNT, TALISMAN etc. And don’t forget to grab a copy of the MADISON debut too.